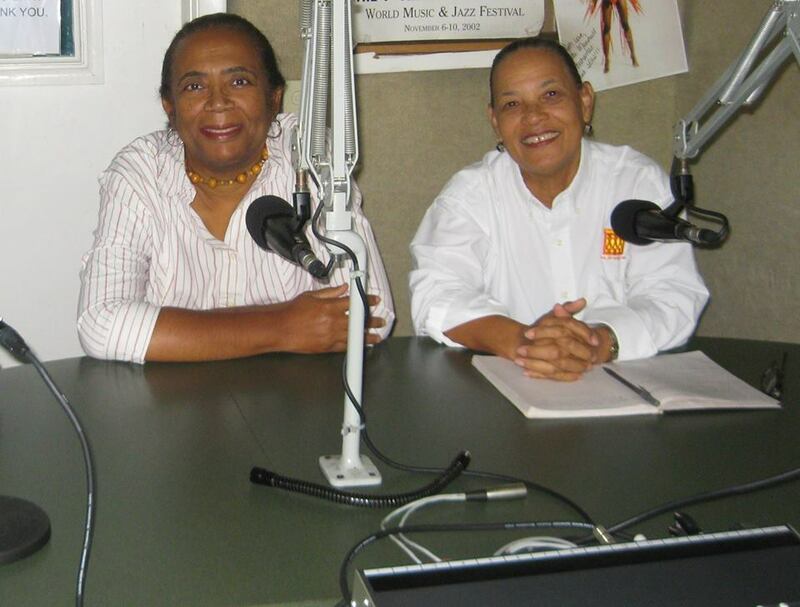 Creative Nassau (CN) began broadcasting its weekly Nassau radio show with hosts Pam and Patti (CN President and Vice President respectively) from IslandFM 102.9, compliments of Sir Charles Carter, in March of 2015 - in March 2018 we celebrate our THIRD ANNIVERSARY!! The show airs every TUESDAY from 7 - 7.30 pm, is re-broadcast on Sunday from 5-5.30pm, and can be listened to online at these times on www.islandfmonline.com. The CN Radio Show is now proudly hosted by Mr Lawrence Bascom, Manager of On The Run Bayshore and On The Run Winton service stations. The radio shows will be posted on this page for your listening enjoyment and we welcome your constructive comments and suggestions! Creative Nassau holds dear its many ‘True True’ partners who make positive things happen for our country and our creatives by working together ‘for the greater good’. 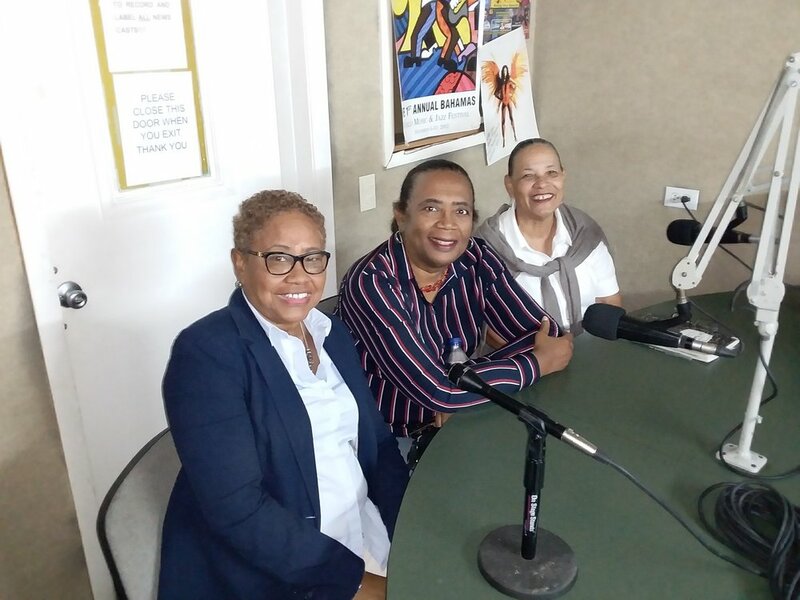 Suzanne Pattusch of the Bahamas Hotel & Tourism Association and Local Sourcing Group is one such special lady and it was a pleasure to be a part of this year’s 4th annual Tru Tru Festival and to invite her to be our guest on CN Radio . The two attached radio programmes talk about this exciting Bahamian event that promotes and celebrates our country’s rich culture and heritage! Visiting Bahamian/Trinidadian Rhodes Scholar, professor and poet, Christian Campbell, joined Patti and Pam to talk about all things cultural and Bahamian! CN Radio began 2019 with our guest, Joan Albury of The Counsellors Limited - the creator of the famed Bahamas Business Outlook Conferences which take place throughout the islands of The Bahamas during the year. Creative Nassau Radio hosts, Pam Burnside and Patti Glinton-Meicholas were privileged to be presenters at BBO 2014! CN Radio guests, Master Artist Max Taylor and Sue Katz joined us in November to talk about the first ever Bahamian Print Exhib ition on display at Doongalik Studios over the holidays! Creative Nassau is pleased to be able to have as guests on this Radio Show, Shelagh Prtichard (standing) and Mitzi Burrows (seated left) of the LEND A HAND BAHAMAS Community Programme that opens its newly refurbished Community Center at the late Neville and Nora Dorsette in Lewis Street, off East Street, Nassau on Saturday, October 20. This is the beginning of a thriving project which will positively impact persons in the Over-The-Hill area of Grants and Bain Towns. Congratulations to the LAHB Team for making this a reality, and Creative Nassau is happy and proud to partner with them! The Inaugural SeaWords Bahamas Literary Festival held November 9-11, 2018 was a project of Creative Nassau and was a huge success. CN Radio fittingly spent several segments to discuss the Festival in detail as attached below! Join SeaWords Bahamas once again in 2020! CN Radio was pleased to invited Davinia Blair of the Small Business Development Center’s Access Accelerator programme, a partnership between the University of The Bahamas, the Ministry of Financial Services and The Chamber of Commerce and Employers Federation. 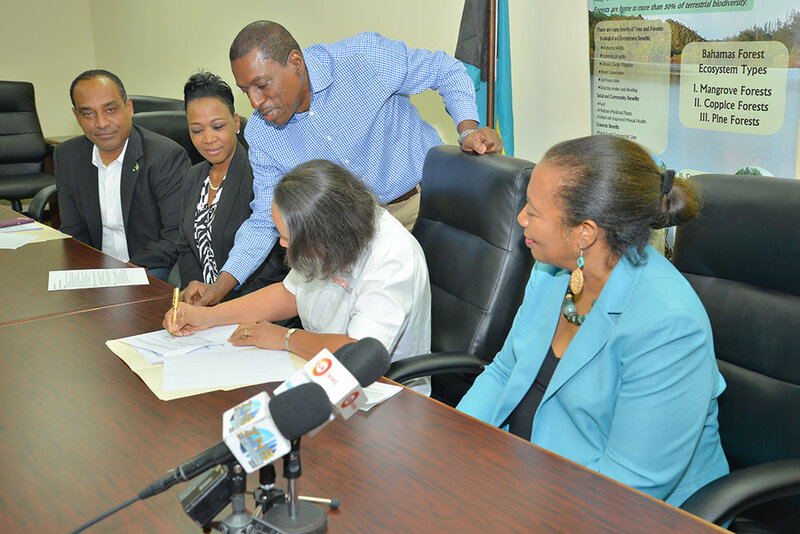 which is providing unprecedented resources to boost this sector of the country’s development, and as such is another essential partner in Creative Nassau’s mission to promote and celebrate Bahamian art, culture and heritage from the inside out’. Pam and Patti welcome back multi-talented guest, Antoine Thompson, aka the rapper 'Puzzle' - to talk about the latest developments with his character "Percy the Potcake" who is getting ready to launch his first YouTube video series on his online site under the same name on Saturday, September 1. The educational series will be geared to children (and adults!) exposing them to the many cultural and historical treasures to be found in our wonderful country! 'Potcake' is the name of the country's indigenous dog breed and the nonmenclature has now been approved as an official Bahamian breed! Go Percy! CN Radio was extremely pleased and proud to welcome back guest Alistair Stevenson who has just completed his studies towards a Bachelors Degree in Ceramics in Jingdezhen, China - one of our sister UCCN Cities of Crafts and Folk Arts - and is preparing for a new journey towards his Masters Degree at Beijing University. Alistair is also Creative Nassau's official representative and correspondent for Asia. Congratulations Alistair and best wishes for your future studies! As a former Colony, The Bahamas celebrates Emancipation Day on August Monday - the first Monday in August - as a public holiday. On Tuesday, August 7, the day after August Monday, Patti and her co-host, Neko, talk about what Emancipation means to them and its significance for the country moving forward. A warm welcome to our 'Believe in Best' guests shown here with their Communications Head, Gravette Brown (seated left)! Standing left to right are Corrie Seymour, Nekia Brice and Kendrick Delaney, talented team members of the brand new ALIV Discover APP which provides a authentic digital tour of Nassau's historical and cultural treasures!! Download it for free at Discover Maps! Patti and Pam discuss Pre-Independence wishes as we prepare to celebrate our 45th Independence Anniversary - and how Bahamian Art, Culture and Heritage can positively affect the country's development! Happy 45th Birthday Bahamas! 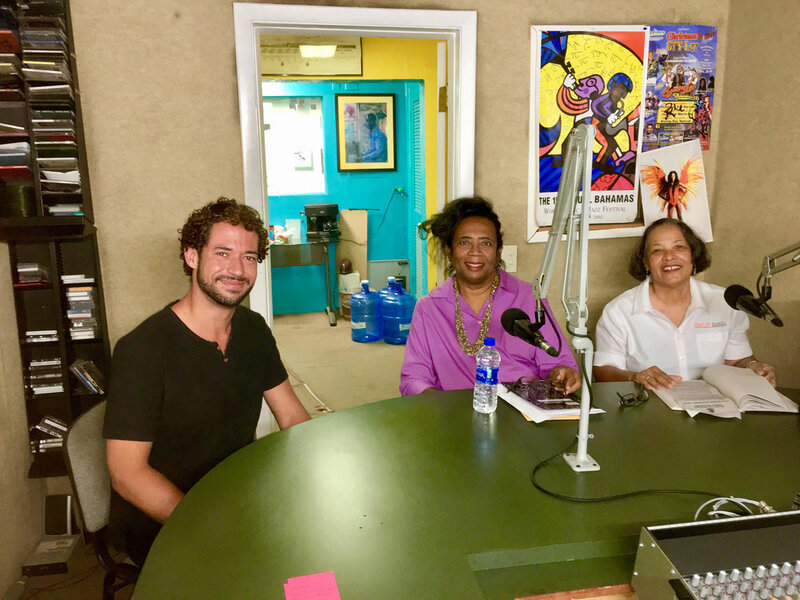 Patti and Pam talk about the upcoming SeaWords Bahamas ALIV Literary Festival as well as the importance of the "Orange Economy" to grow the country! We welcomed guest and activist Terneille Burrows to talk about the power of the Creative Industries and ideas for its development in The Bahamas. CN Radio guest, Sean McWeeney, QC, joined Pam and Patti to talk about his interesting book 'Breaching the Gates: The Bahamian Free Coloured and The Struggle for Civil Rights 1802-1834' - an in-depth look at this part of our history inspired by the life of Bahamian Stephen Dillet, the grandfather of James Weldon Johnson! CN Radio welcomed Keisha Oliver, Assistant Professor and Programme Coordinator in the Visual Art Department at the University of The Bahamas to talk about an exciting new Summer Arts Programme for High School Seniors in July, thanks to the kind donation of the Charitable Arts Foundation, the D'Aguilar Art Foundation, Atlantis Resort, and Transforming Spaces. CN Radio was very proud and excited to welcome our very own Courtney Celeste Spears, professional dancer, as our guest on two radio interviews to talk about the 2nd annual ArtSea Dance Workshop which will be held on Saturday and Sunday, May 19 and 20 from 8am-5pm here in Nassau - a phenomenal opportunity for persons interested in dance, and also about her own personal journey as a professional dancer!! Check the website www.artseadance.org and facebook pages for more information on the ArtSea programme!! CN Radio was very pleased to welcome as our guest, Bahamian filmmaker and entrepreneur Travon Patton who is also one of our creative partners, having kindly live streamed our Orange Economy webinar last year! 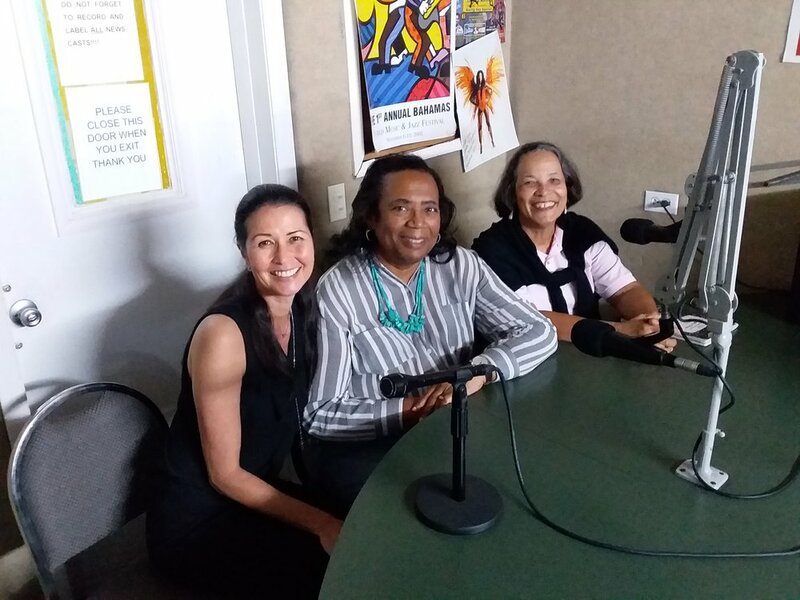 CN Radio welcomed to the airwaves on March 27, 2018 - Bahamian teacher, Kelley Benjamin-Bonimy, all the way from Singapore where she works at an International School, to talk about her experiences and her new children's book "Lockie and Lakshmi" which she co-authored with Dr Sheela Warrier. It is available for sale at Smith & Benjamin Publishers, Airport Industrial Park, Tel: (242) 377-0241 Website: http://www.smith-benjamin.com. Creative Nassau Radio is passionate about Education and the importance of READING in this process. We were happy to welcome as our guest for two broadcasts on March 13 and 20, Laurenne MacDonald who leads the Volunteer Reading Programme in public schools (find out more on her facebook page "Laurenne Helene"). Another milestone for Creative Nassau was the Launch in February of the first ever Bahamian Orange Economy/Creative Industry online survey under the auspices of Mr Dennis Deveaux of KPMG who will be collecting data to inform the depth of the country's Creative Economy as a result of last year's Orange Economy webinar at the Central Bank of The Bahamas. 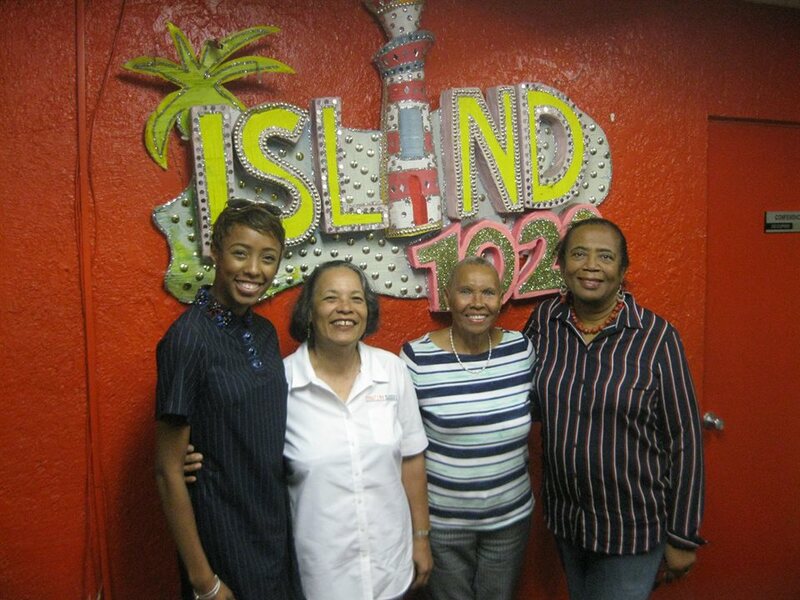 Listen in to this informative session with Mr Deveaux on Island FM 102.9 as he interviews with hosts Patti and Neko! The year has gotten off to a magnificent start, with CN signing a momentous Memorandum of Understanding with the Forestry Unit of the Ministry of the Environment and Housing to further the productive partnership between these entities for the mapping, research, protection and sustainability of the country's important forestry resources, particularly the native straw palms and other foliage used in the country's unique straw craft industry! This episode speaks with Forest Officer, Danielle Hanek Culmer about these exciting plans! CN Radio was very happy to welcome back to the airwaves, our supportive Sponsor, Mr Lawrence Bascom, to get an update on his plans for 2018 and to speak about one of his favourite subjects - 'Education'. Mr Bascom was also the Luncheon Speaker on this topic at this year's Bahamas Business Outlook which CN attended to show support! Patti and Pam in the Island FM 102.9FM Radio recording room ready for 2018! This show's guest, Antoine Thompson is a multi-talented Bahamian: he is a rap artist who has been warmly embraced and made famous by the Hawaiian population, a music producer, an entrepreneur - formerly of the Valley Boys junkanoo group - who has produced a series of beautiful Bahamian inspired jigsaw puzzles, AND he is also the creator of the Bahamian character "Percy the Potcake" - available in colouring book form, soon-to-be published book, and also in production for a children's television series!! Wow....all of this talent in one individual - listen in to learn more! Radio guest Mary Ann Jones (standing) speaks with Patti and Pam about the trip she and Pam recently made to UCCN sister city Paducah, Kentucky (a City made famous for its Quilting tradition) to attend the first ever Crafts and Folk Arts Cluster Conference. See more information and photos about the trip in the "News" Section! Host, Patti (right) welcomed the newly crowned Miss World Bahamas, Geena Thompson (2nd right) shown next to Island FM owner, Sir Charles Carter, along with the President of the Miss Bahamas Organization, Michelle Malcolm (left) who talked about the local pageant, her 'Beauty with a Purpose' platform and the upcoming International Competition which takes place in China in a few months! The following CN Radio Show is a 'Double Feature' in two segments: The first segment is a conversation about The Bahamian Project Exhibition www.bahamianproject.com with photographers, our own Rosemary C. Hanna, and Guilden Gilbert. This portrait exhibition opens Thursday, July 6 at the Central Bank of The Bahamas and is a part of the country's 44th Anniversary of Independence celebrations! In the second segment we welcome back Fr Shazz Turnquest from the St John's College Solar Car Challenge whom we interviewed with his team of students in December 2016 - the Green Lightning solar car is complete and has been shipped to the U.S., and team is reading their travel to Dallas, Texas on July 14 to take part in the Challenge - check out their journey to date on www.greenlightningsolarcar.org. Creative Nassau wishes the Green Lightning Team all the very best! Pam and Patti talk about Creativity in recent events taking place in the country, and how these areas affects Development & Tourism, as well as Creative events taking place in Literature, Drama and Dance. CN Radio's host, Patti. was thrilled to continue the discussion on Education by welcoming back our sponsor, Lawrence Bascom, who spoke about his presentation at a recent University of The Bahamas' Education Conference held in Freeport, Grand Bahama. Bascom is a proponent of the Charter School programme and CN applauds his vision. Listen in and lend your support - our country's future depends on getting our Educational component right! The Art of Photography was the topic of the February 21 Radio broadcast when Patti and Pam spoke with special guests, photographers Guilden Gilbert (standing left) and Rashad Penn (standing right) who recently designed a Basic Introductory Course to Photography as a part of a Continuing Education Course at Queen's College. The two photographers are also members of The Bahamian Project www.bahamianproject.com founded by Duke Wells to develop photographs of ordinary people in the Bahamian Society with the hopes of forming a National Portrait Gallery in the future. The Bahamian shoe designers explosion continued, as Patti and Pam interviewed guests Marvin Storr (2nd left) and Michael Fountain on February 14 - the radio broadcast is below! 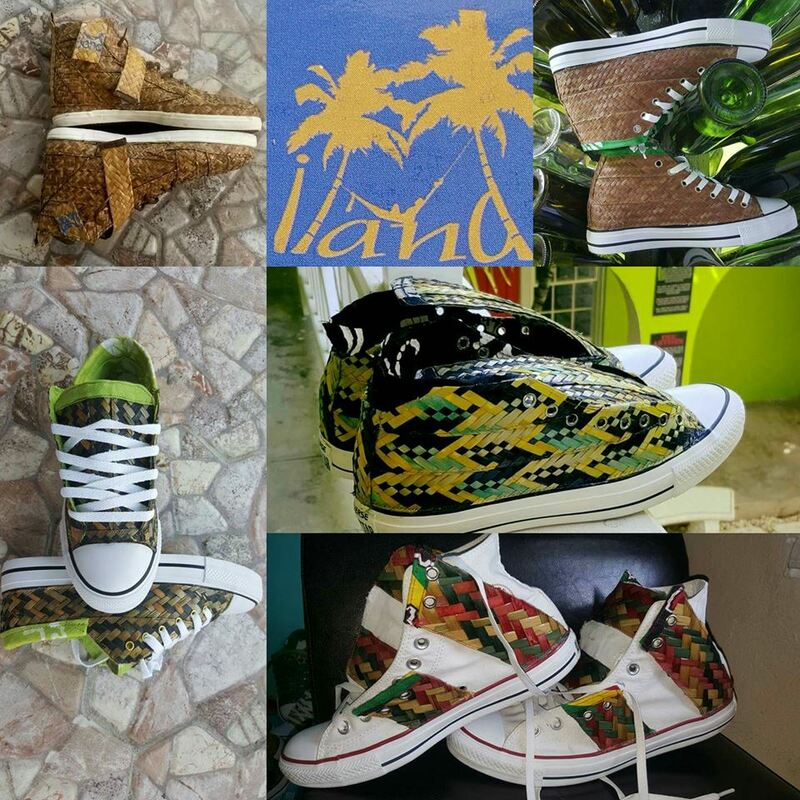 Marvin, along with his wife Lynette, are the founders of the amazing ILAND brand of STRAW SNEAKERS (see photos below) that are all the rage in The Bahamas and abroad! You can contact Marvin at strawbystorr@gmail.com or 242.454.4856! We are so very proud of these talented entrepreneurs, and through them we see the success of the Creative Nassau vision of "celebrating and promoting Bahamian Art, Culture and Heritage from the inside out" as we also work to fulfill the Doongalik Studios' mission that "by the year 2020 more persons will come to The Bahamas for our Art, Culture and Heritage, than merely for our sun, sand, and sea!" CN Radio hosts Pam and Patti welcomed guest Allan Murray on February 7 to talk about his published Bahamian history books, Bahamian History Highlights and The Colourful History of The Bahamas (which is available at Doongalik Studios), as well as his newly produced power point presentation for the benefit of schools, organizations or civil society groups who would like to learn more about Bahamian Majority Rule Day, the golden anniversary of which was celebrated in January! Contact Allan at nilgirial@yahoo.com for further information! Listen to the radio interview on the link below! 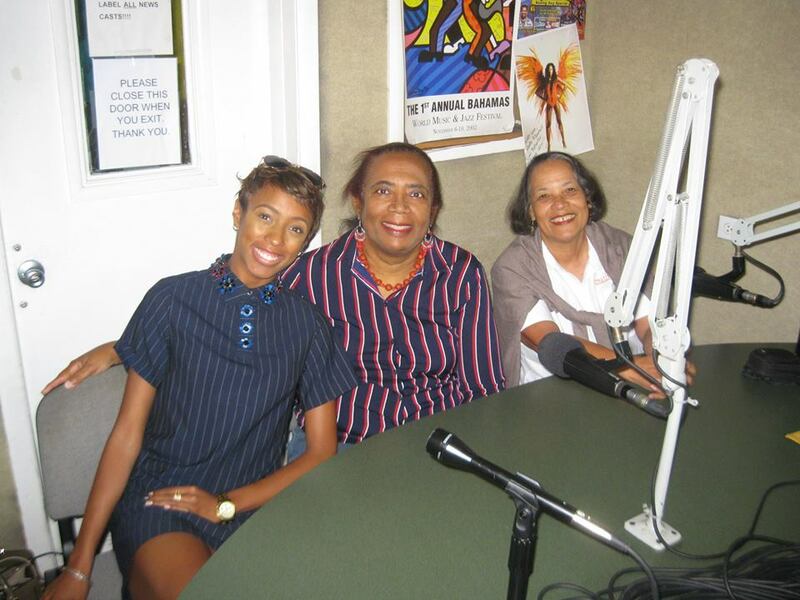 CN Radio was privileged to have as their guests: Talented Bahamian creatives, Keesha Pratt and Dandreia Bethel. Listen in to their discussion with Pam and Patti on Tuesday, January 17, 2017! CN Mayor, Mr Gevon Moss, of the Downtown Nassau Partnership joins Patti and Pam on the CN Radio Show to talk about their visit to Sweden for the Xth Annual UCCN Meeting.